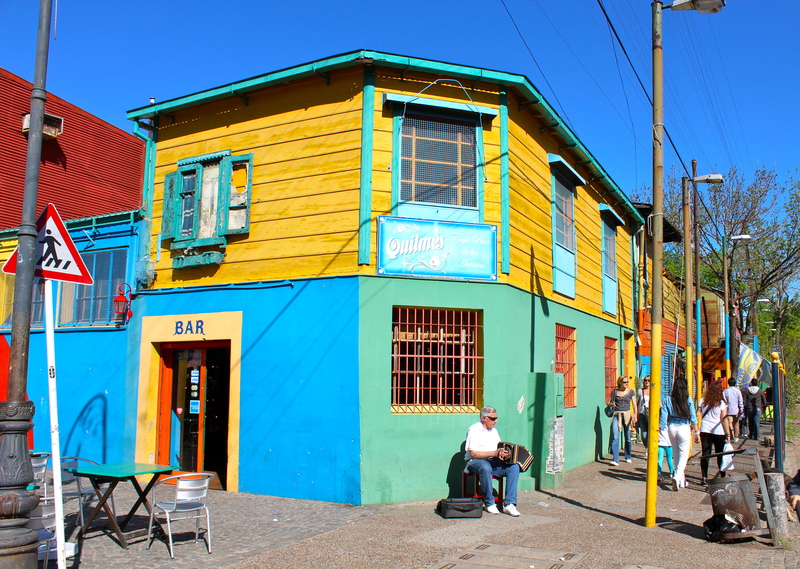 La Boca is a neighborhood in the southeast of the city. 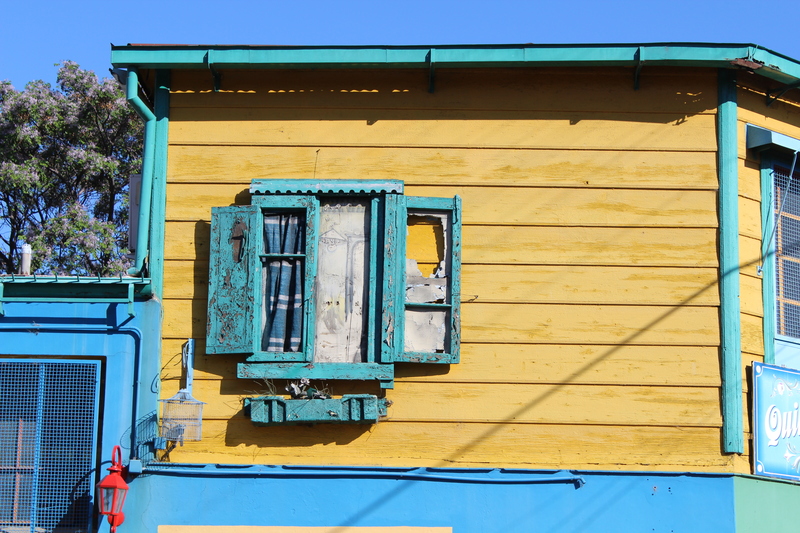 It gets it’s name because it is close to the port and shipping yards in Buenos Aires and as most people know (especially if you’re from Florida), la boca means the mouth. 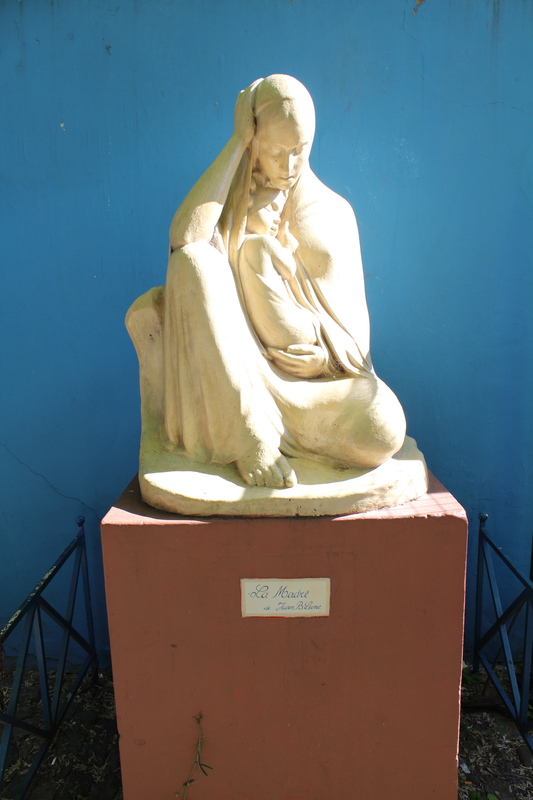 During the big wave of immigration in the 1870-80s, many Italians from Genoa settled in this area. 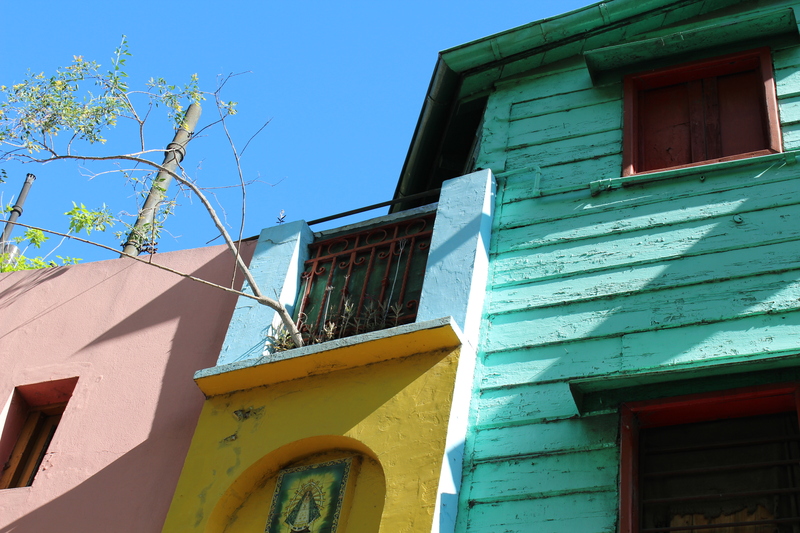 They built houses close together out of the available materials – aluminum and cement and such – and used the paint leftover from construction of the large ships to color their homes. 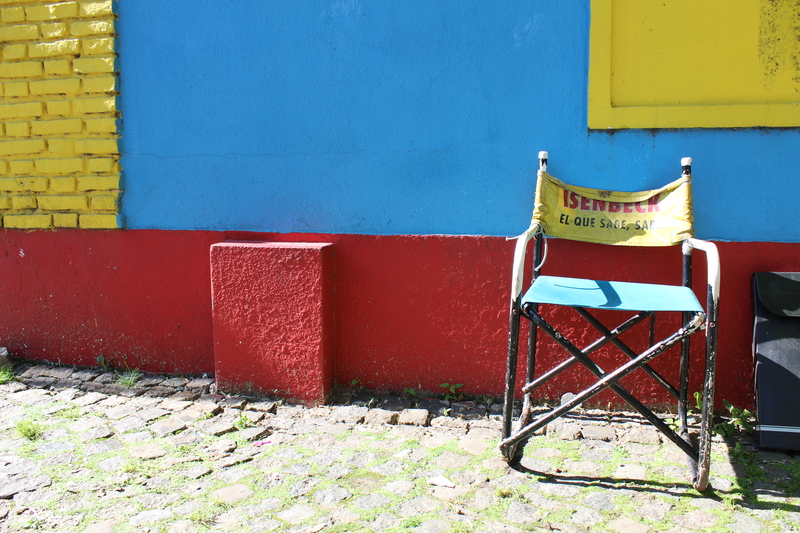 The neighborhood has since become famous for its vibrant homes and cobble stone streets. 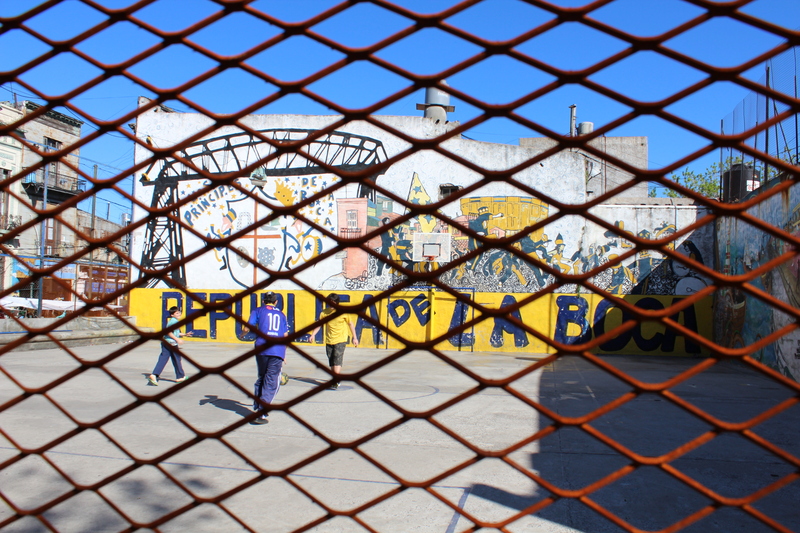 One bit of interesting history: in 1882, the citizens of La Boca, tired of low wages, revolted raising the Genoese flag and declaring themselves the Independent Republic of La Boca. This brings to mind the the Florida Keyes ever-so-brief secession 100 years later… Obviously it didn’t really work out for the Republica de la Boca. 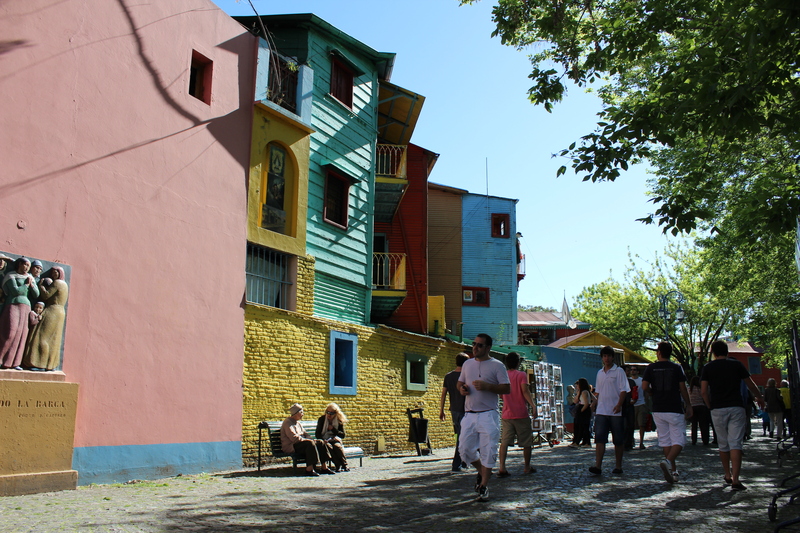 Not soon after the secession was announced, the Argentine President Julio A. Roca went to La Boca, with an army of course, and lowered the Genoese flag himself. 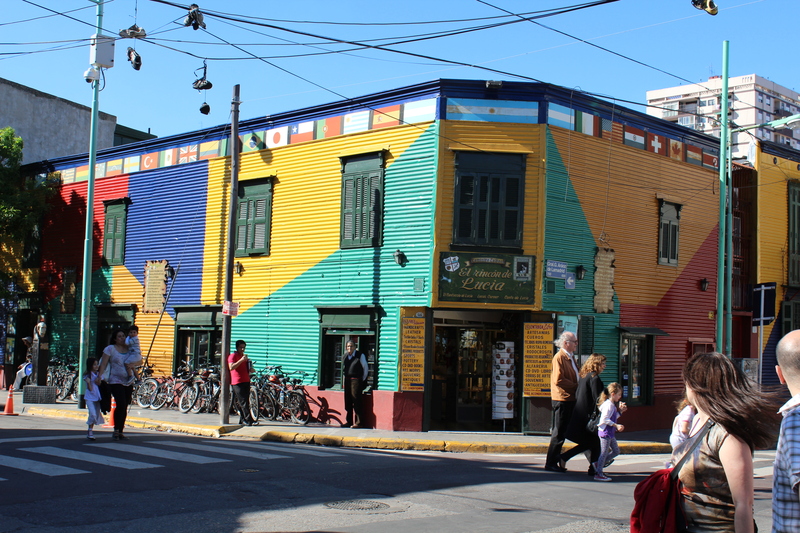 Today, La Boca is not really an area many foreigners should walk around at night. Even during the day, most of the neighborhood is off limits. Outside of the tourism, the area is rather poor and many buildings are abandoned. While this is not bad in and of itself, robberies in the area are frequent and nieve tourists with a lot to spare are often great targets. 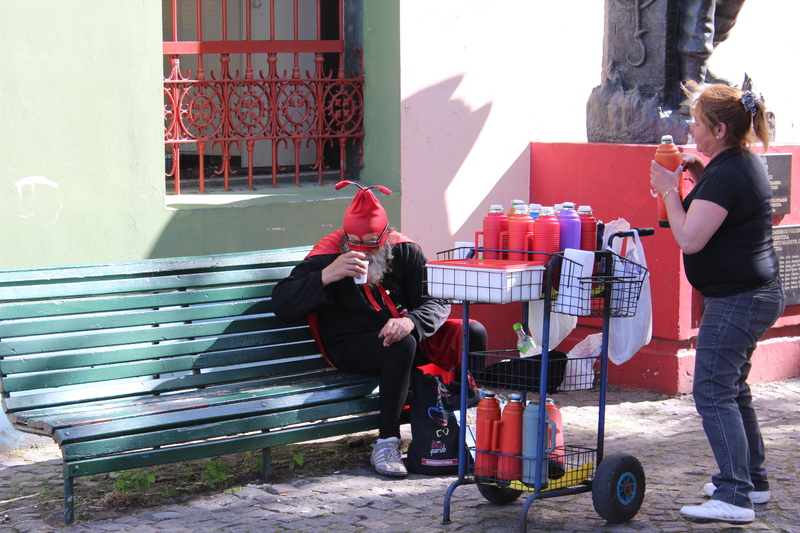 I was warned by my teacher to take the bus straight to the tourist section of the neighborhood and not to vere off the well-laid path. 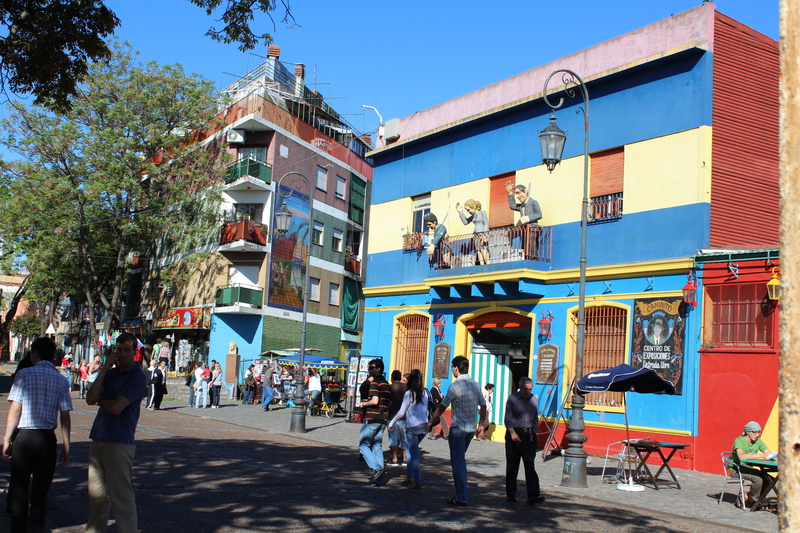 Even with these issues, La Boca is a great place to check out as many traditions of the neighborhood are kept alive and, if you stay within this area, you are will be totally safe. 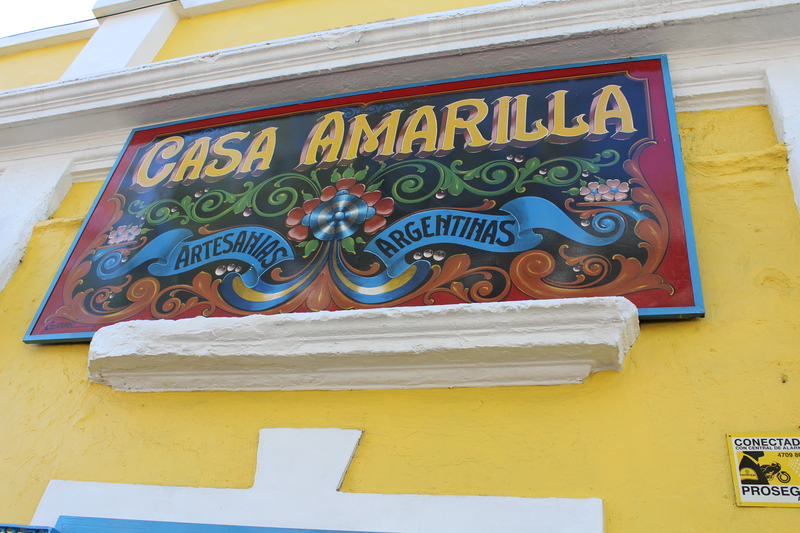 The street that is the most popular with tourists is calle caminito, where the houses are still brightly painted. 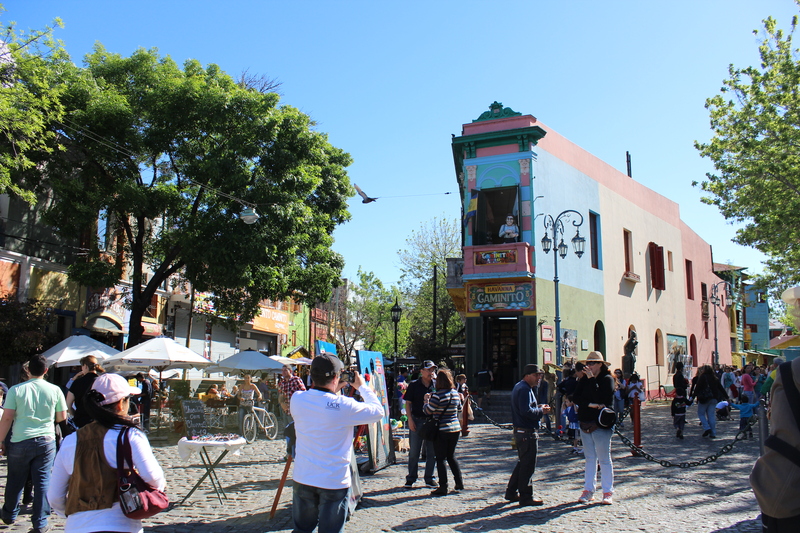 Tango dancers roam the street, performing for tourists, and vendors sell their goods both in stores and on the street. There are a multitude of cheesy looking restaurants throughout the small area and a little area for staged performances. 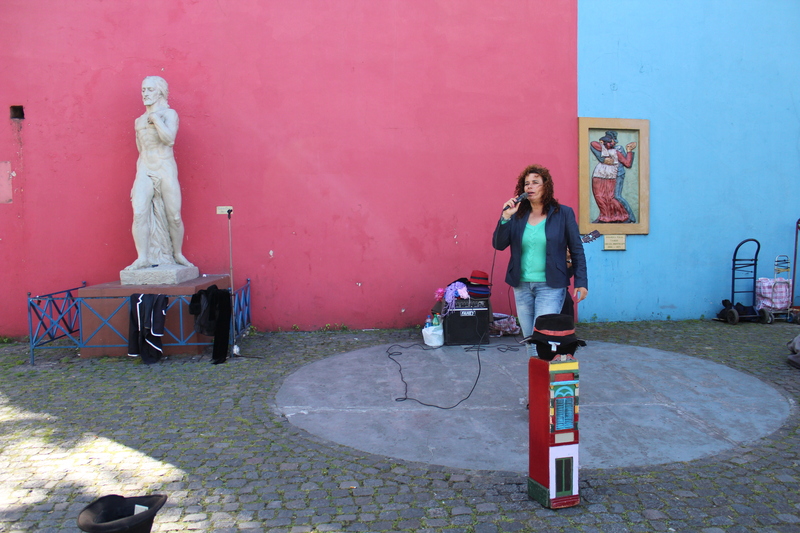 Yes, it is a bit (very much) of a tourist trap, but it’s still really fun. Jesse and I went last weekend – the sun was shining, birds chirping, perfect temperature. 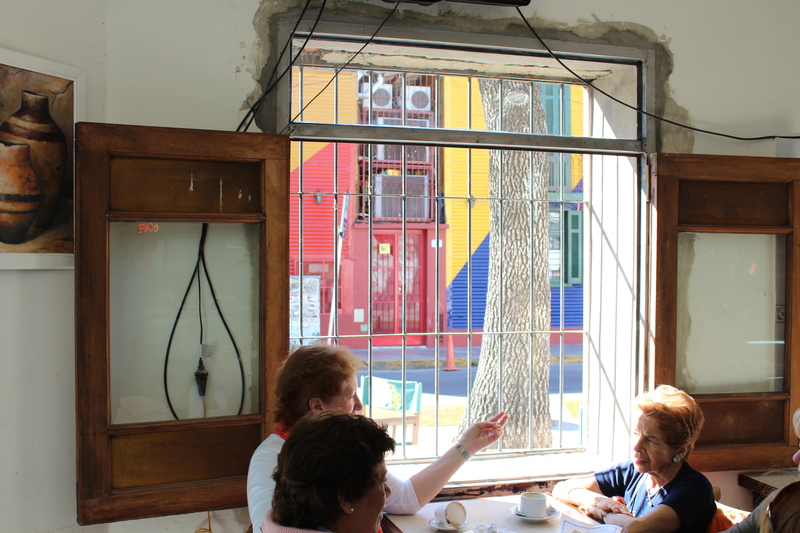 After walking up and down the small street, we got some empanadas and a milanesa sandwich and sat ourselves in a little plaza to eat. Great day all around. my “i’m an amateur high school photographer” shot ha ha… i just like the colors. 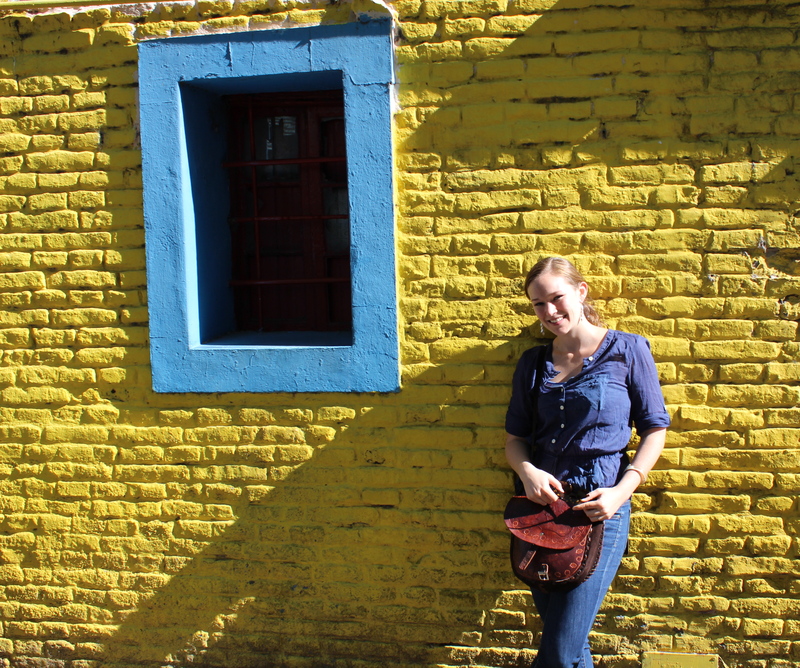 Eating empanadas on the steps of a little plaza. 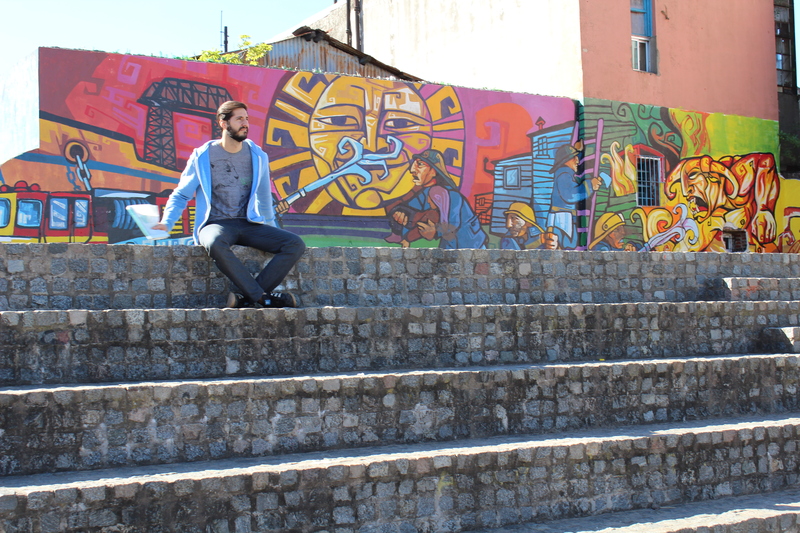 Cool graffiti in the background. All the stores and restaurants have signs with similar design. 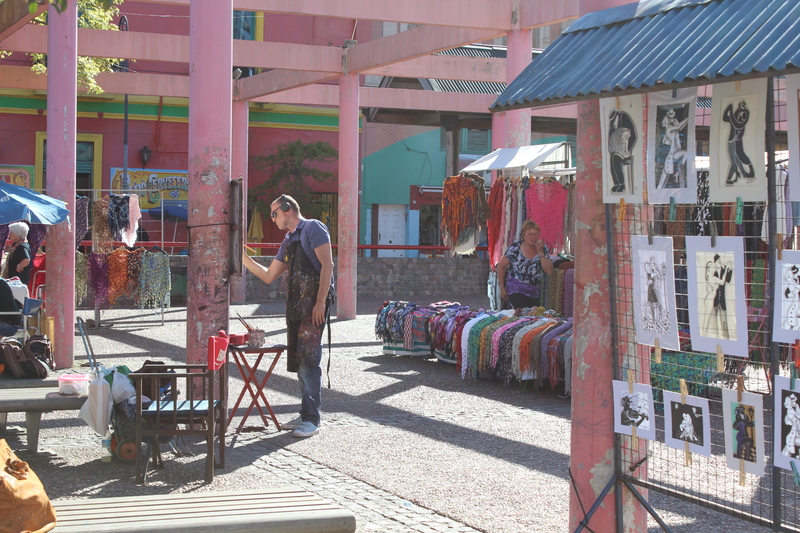 Artist painting in the plaza where we were having some lunch. Just love the design of this building. 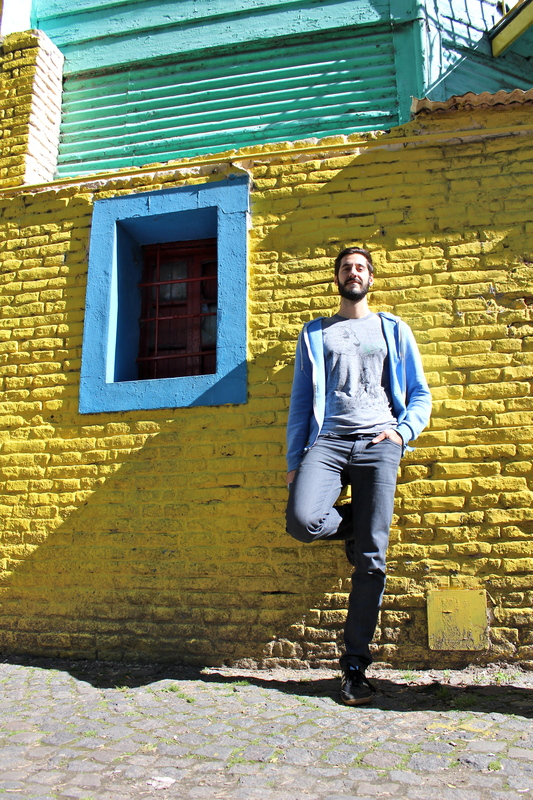 Vive la Republica de la Boca! !